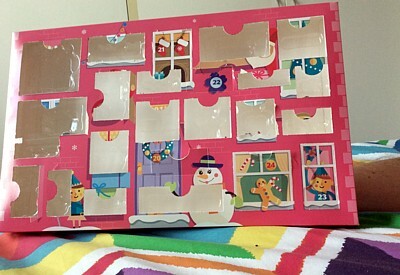 For the 2015 festive season, I couldn't resist procuring for myself this Kids' Beauty Advent Calendar from the local supermarket. I love the idea of advent calendars (I'm very much a calendar nerd) but it seems too much effort to make and fill one every year, so I always end up buying one. I forgot to take a photo of it at the beginning, and I can't find any photos of it online, but here's a photo of it with most of the doors ripped off. I should probably point out that the hairy arm propping it up is Husband's, not mine! The nail polish rubs off at the slightest touch, and washes off in water, so it's pretty much useless. 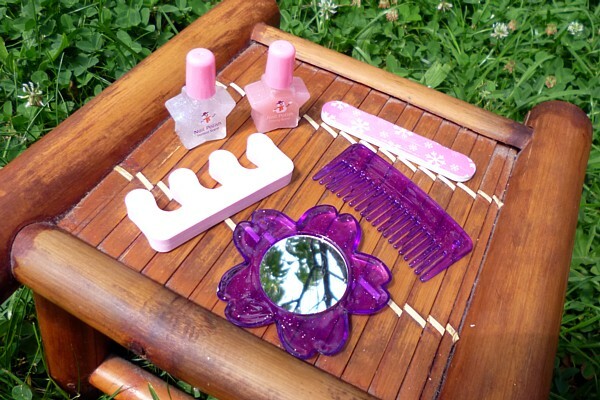 I like the comb and mirror, and I've been using the comb a bit. The nail file is the thing I've used most so far! 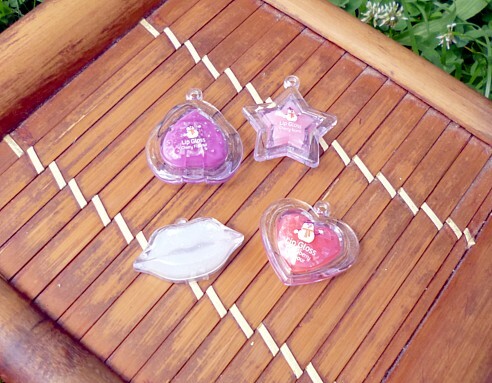 The lip glosses perform about as you'd expect for a cheap lip gloss. The scent/flavour is not very strong. They all have a little loop on them so they can be hung as a pendant. 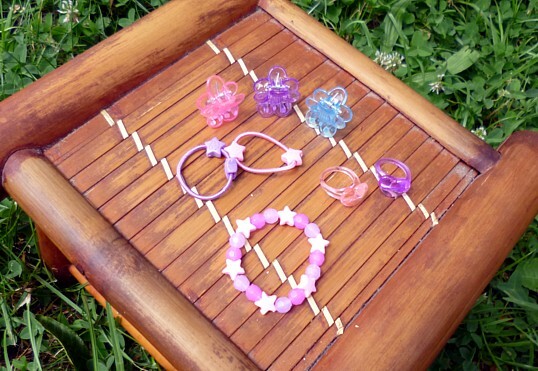 ❦ heart-shaped rings in pink and purple -- they go about half-way down my little finger! One day I might wear them if I'm going full Fairy Kei, but for now they make a cute decoration. ❦ star bracelet -- this is way too small for my wrist, so I'm using it as a hair deco. ❦ eyeshadow in blue -- so 80s! 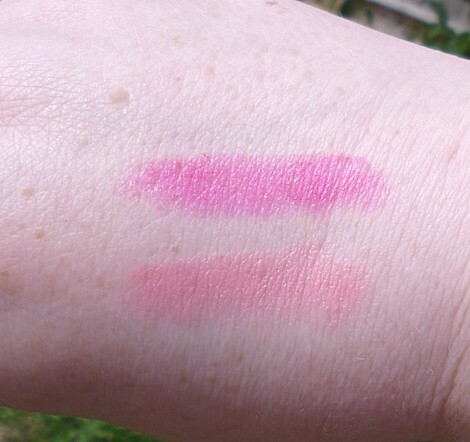 ❦ dark pink strawberry-scented lipstick -- the two lipsticks have surprisingly strong coverage and I've used them quite a bit. I hope you're having a lovely time, whatever you're celebrating!